Amdo Geshe Jampal Rolwé Lodrö (Tib. ཨ་མདོ་དགེ་བཤེས་འཇམ་དཔལ་རོལ་བའི་བློ་གྲོས་, Wyl. 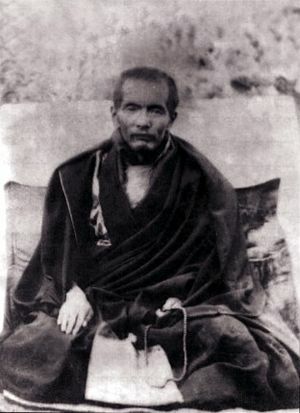 a mdo dge bshes 'jam dpal rol ba'i blo gros) (1888-1936) was a Gelugpa lama who was a student of Jamyang Khyentse Wangpo and Tertön Sogyal and a teacher of Jamyang Khyentse Chökyi Lodrö. He was an important figure in the Rimé movement. This page was last edited on 6 February 2017, at 05:52.